Am I eligible for DACA? I never graduated high school and I didn’t get my GED? You betcha! If you satisfy the time, age, entry, and character requirements of DACA but you didn’t graduate, the DACA program encourages youth to get back into school! 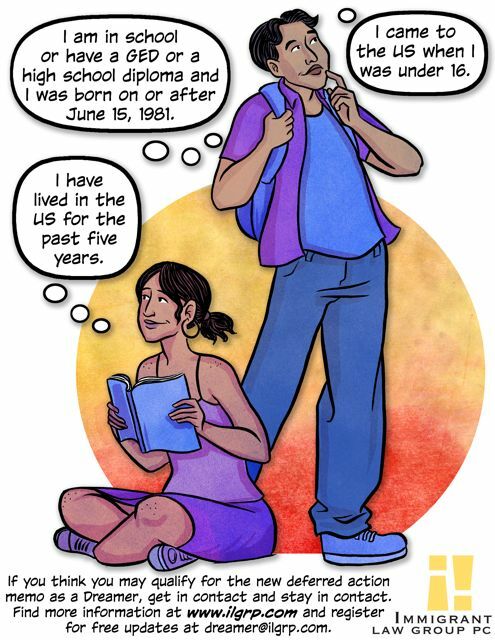 If you are in school on the date you file for DACA benefits or get your GED before you apply (even if you get it after June 15, 2012), you may still seek DACA benefits. We’ve put together a list of resources for folks in the Portland area seeking a GED program.